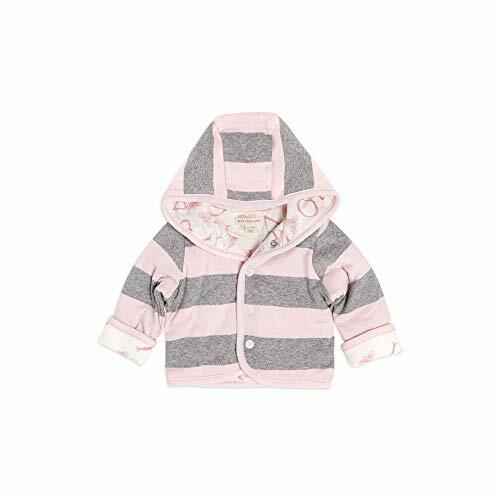 Reversible Jackets: Your little bee gets 2 looks in 1 with our 100% organic cotton snap front hooded reversible jacket! Decorated with custom bee snaps and a contrast binding. Styling tip – roll the cuffs show a peek of the other print! 100% organic, GOTS certified, breathable cotton shell & 100% polyester fill. Quilted Jackets: The 100% organic cotton quilted jacket is the easiest layering piece to every outfit. The zipper front makes for easy on and off and the quilted fabric is so soft and cozy.